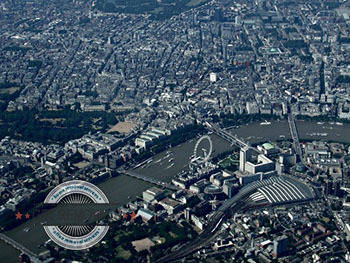 London, being one of the biggest and most famous cities in the world, is representative of the whole country. Everyone thinks of different things when hearing the name London but the truth is that no matter how many of the symbols of the city pop to mind, it is a diverse place with so many faces that one would need years to explore them all in depth. When talking about London, one might think about the tourist attractions, the historical landmarks and of course – the residential and commercial parts of the metropolitan area, that are among the finest of their kind on the whole planet. Central London is of course representative of the whole city, and it is quite a diverse place in its own right. Let’s have a look at three large areas that fall within the designation according to the last changes made to the London Plan. They serve different purposes and are worthy of our attention in their own right. The City of Westminster is a ceremonial borough that is often associated with London as a whole. The simple reason behind that fact is the majority of the big and well known tourist attractions that over the years have become synonymous with the capital are located namely here. Naturally we are talking about such places as St. James’s Palace, Buckingham Palace, the Houses of Parliament, and 10 Downing Street. 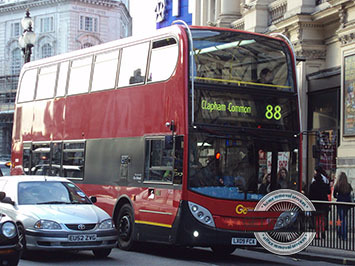 Located in City of Westminster is among other things, the busiest shopping street in the country, and according to a number of reputable sources – in Europe. That is Oxford Street. Built on the remains of an ancient Roman road, Oxford Streets is a crowded road filled with boutiques and department stores selling literally everything that one can think of. If you want numbers to prove that Oxford Street is the mother of all shopping areas, the annual turnover from tourists alone that is made by establishments around here reaches well above a billion pounds. Regent Street is another major area in Westminster. Even though only the All Saints Church is the only building that survives here from the time when famous architect John Nash made the layout of the street in 1825, the place preserves its unique grand imperial atmosphere. The true heart of Westminster however is the famous Piccadilly Street. Many people around the world know about it because it is features on the original edition of the board game Monopoly – and as the most expensive one of the board too. Home to The Ritz Hotel, the Park Lane Hotel, the Athenaeum Hotel and Intercontinental Hotel as well as the Cavalry and Guards Club and the Royal Air Force Club, Piccadilly is a synonym of class. Knightsbridge is the place with the most expensive residential properties in the world, while Charing Cross is often regarded as the most central place in the capital – all distances are measured to and from the center of the district. Brixton, which is a vital residential area here is the place where one can enjoy the beauty of one of the finest examples of street art on the territory of London – the Brixton Murals were made by local artists with the financial aid of the Greater London and the Lambeth Councils after the riots of 1981. Since we have mentioned bridges, do the names Tower Bridge and the Millennium Bridge ring any bells? 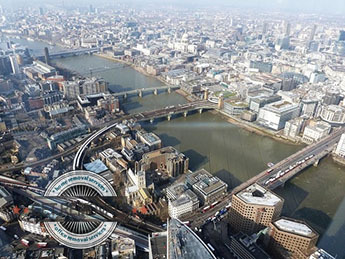 Both of them connect the Borough of Southwark to the City of London and are, coincidentally, some of the most famous bridges in the world. Tower Bridge in particular is featured on nearly every film production that takes place in London – probably even more often than the House of Parliament and Buckingham Palace. But the bridges are not the only notable landmarks in the borough. In addition to the historical Borough Market, Shakespeare’s Globe, Tate Modern and the Imperial War Museum (like they are not enough) here you will have the great chance to take a walk along the beautiful and peaceful Surrey Quays which are also a vibrant shopping area thanks to the recently built Surrey Quays Shopping Centre. Peckham, another fine district in Southwark, has recently gone through several major regeneration projects that helped built a unique identity for the area. Being one of the 35 major centres of London, it is also a rather colorful multicultural district. Even though just a little over 11 000 people live here, they form a number of international communities originating from Bangladesh, the Caribbean, China, India, Ireland, Nigeria, Pakistan, Turkey, Eastern Europe and Vietnam. This diversity has left a clear mark on Peckham. The South London Gallery as well as the Camberwell College of Arts are located in the district of Camberwell, which is also home to one of the most progressive artist groups in the recent history of London – YBAs. The area is home to a number of alternative rock bands, as well as smaller and bigger groups and institutions which make Camberwell the true artistic heart of Southwark.